Weekend Vote Will Bring Controversial Changes To Psychiatrists' Bible : Shots - Health News A vote this weekend by a small group of academics could result in changes to several entries in the Diagnostic and Statistical Manual. Doctors may no longer be advised to avoid diagnoses of depression after the death of a loved one, and Asperger's syndrome may be folded into the spectrum of autism. The DSM, published by the American Psychiatric Association, is an enormous tome that defines every mental disorder. And in defining every mental disorder, it helps determine many other things, such as how struggling children are treated in school. If the disruptive behavior of a child is seen as a disorder — like attention deficit hyperactivity disorder or autism — schools will help with subsidized services. If not? Well, then the schools often see the child as just trouble, and the child will be penalized. So it's no surprise that there's lots of controversy every time the DSM is revised, with people arguing that the new definitions are too narrow or too broad. And the DSM-5 is no exception — it's considered the single most controversial DSM of them all. So what are the likely changes? How have the many controversies been decided? The APA refuses to say anything about what's in and what's out, and they've also told people associated with the DSM-5 that they shouldn't speak specifically, so it's very hard to know. But some of the changes that were published last year on the APA website (they've since been removed) are likely. 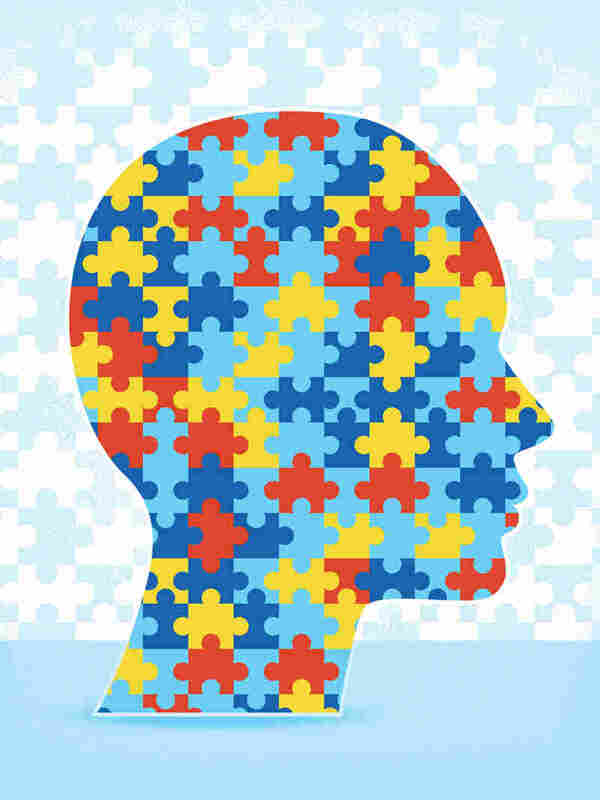 Asperger's Syndrome may be eliminated: Asperger's Syndrome is currently a popular diagnosis, but soon it may not be used by mental health professionals to identify people with mild autism. Instead, there will be a spectrum of autism, and people who would once have been diagnosed with Asperger's will instead be diagnosed as mildly autistic. Many people with Asperger's syndrome opposed this change. "People with Asperger's preferred that identity, as opposed to being seen as part of autism spectrum. I think that's been part of the complaint," says Roger Peele, secretary of the APA. There will likely be a new childhood disorder called disruptive mood dysregulation disorder: The people in charge of childhood disorders proposed this diagnosis because they felt very strongly that too many children were being categorized as having bipolar disorder and then prescribed anti-psychotic drugs. The hope is that psychiatrists will use this new diagnosis for kids, instead of bipolar disorder, and not prescribe as many drugs. Critics say it's not clear that the change will work out, and that the history of mental health is littered with good intentions like this gone terribly wrong. But the hope is that it will shut down the rise of bipolar diagnoses in children. There will be a new way to think about sadness in the wake of the death of a loved one: In the last DSM (DSM-4), psychiatrists were warned away from diagnosing major depression in people who had recently lost someone they loved, because grief in the face of loss was seen as a normal — not abnormal — response. "That's reasonable thinking, and certainly no one wants to pathologize grief or sadness or call it an illness when it is an absolutely normal human experience," said Dr. Sidney Zizook of the University of California, San Diego. But Zizook was one of the people who argued — probably successfully — to change that because, he says, telling psychiatrists that people who are grieving shouldn't be diagnosed as depressive "excludes a bereaved person from being diagnosed with depression, if they have a depression, and no one wants to do that, either." This is a small change, but to critics, emblematic of a much larger and more sinister problem: the expansion of behaviors considered abnormal. Shyness becomes "social phobia," restlessness becomes ADHD. Chris Lane, author of Shyness: How Normal Behavior Became a Sickness, is a DSM critic. He worries the new version will label people sick when they are not. "I'm very concerned about the number of false positives from this edition," he says. "That is, the number of people who are overdiagnosed." Roger Peele of the APA obviously doesn't agree, which doesn't mean that he thinks the DSM-5 is infallible. "It's important that people not see the DSM as a bible," he says, "that they respect it but don't worship it." Hundreds of researchers have worked hard to make the DSM as good as they could figure, Peele says, but the entries are simply their best guesses on how to define and think about mental disorders.